This morning Reverend Christina continues with her new sermon series titled God is My Rock. Her talk this morning is based in part on Psalm 61, which is a prayer for security and assurance. It reveals that wherever we are, we can trust that God, our faithful Rock, will be there to answer our cries for help. He was there when David was far from home and felt the need to reach out to God by writing Psalm 61. Thankfully God is not limited to anything, including geographic location. Even when we are far away from familiar surroundings and find ourselves in an unsafe or dangerous situation, God, our Rock, never abandons us. What’s more, His all-surpassing strength is unfailing and always with us. 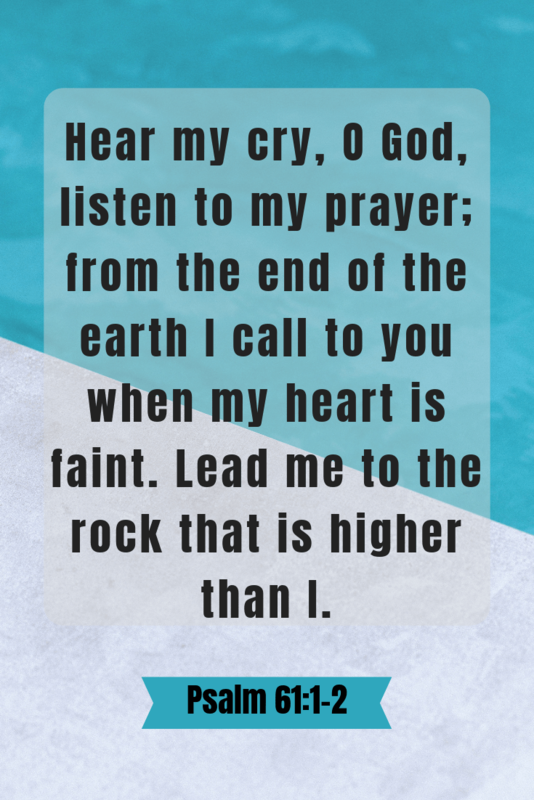 As David strongly implies in Psalm 61, by trusting God to be our Rock, Salvation and Defense, our entire approach to how we live, react, and respond to difficult situations can be altered. Fear, hatred, and resentment fall away and are replaced with the assurance that when we are resting in God’s strength, nothing can shake us.